When in the warehouse work environment, safety needs to always be on the forefront of everyone’s mind. From large power machinery to towering storage structures with heavy goods, there can truly be danger around every corner in a warehouse. Taking the steps to minimize the risks around you is vital to creating a safe, comfortable work environment for all involved. Of course, there is always going to be a chance an accident will happen. However, when you and your crew are properly prepared, the damage that could be done can be significantly reduced or avoided all together! The more knowledge that is spread, the better. Following the five safety tips below can help prevent things from going wrong in the first place, and keep you and those around you safe and happy! This is a very simple but often overlooked step. While racks are strong, towering structures meant to store our heaviest wares, it can be easy to push their abilities too far. 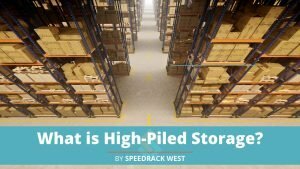 Know the storage limits of the different racks and set ups in your work place. Be aware of “what” should be “where”, and if things look over loaded, don’t ignore it. Refer to the above image to check how much deflection is okay! If something seems stored in a location where the equipment could be questioned, do not hesitate to investigate further to make sure everything is good to go. Properly using the racks themselves goes a long way to prevent them failing. 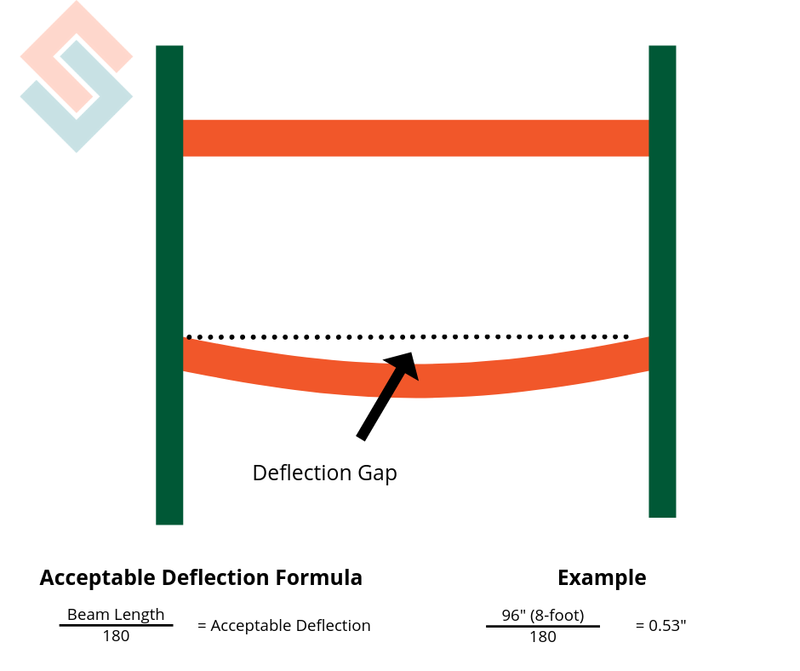 For more information on beam deflection, check out RMI’s great article here. Frequent inspections of racking, forklifts, and other equipment around the warehouse can catch minor issues before they transform into major ones. Put together a schedule for your crew to regularly take a look around the work place for issues. Keep an eye out for even little differences: missing safety pins, beam deflection, slight dents in the racking. Again, noticing an issue when it is still small can not only help keep workers safe, it will keep damages and costs down. If you want help inspecting your racks, feel free to call us. We will be happy to walk through your warehouse and help point out signs of damage or over loading! Tip #3 is the logical follow up to Tip #2: Replace or repair any damage that you come across during inspections. The cardinal sin of finding an issue with racking is waiting too long to fix it. This is how problems get pushed off, forgotten and eventually grow into serious issues. Replacing or repairing issues quickly and when they are small is both a way to keep everyone safe for a preventable occurrence, all while saving potentially serious money. As said in Tip #2, if you are unsure of whether or not a problem is a problem, give us a call and we will happily take a look and give you an informed opinion! The old saying “team work is dream work” is always going to have its merit. 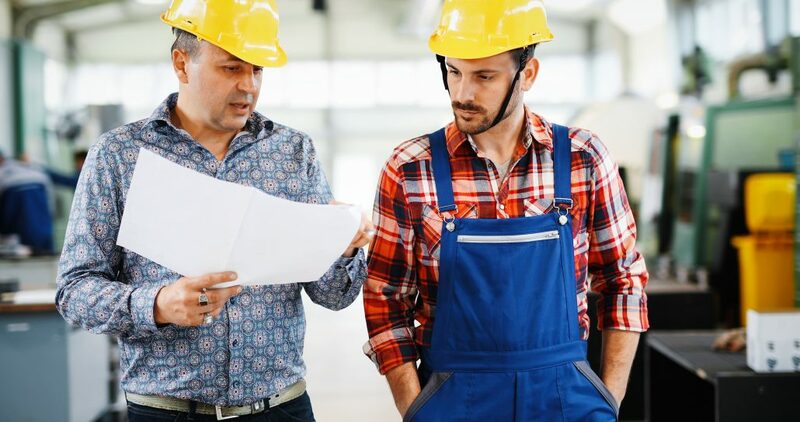 By educating employees on what to look for, the signs of damaged or dangerous equipment, and proper operation of all machine and storage racks, future problems can be brought down to a minimum. 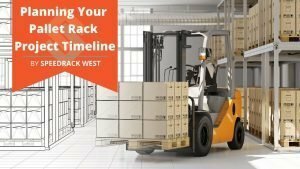 Forklift operators should be trained to drive carefully, load weight properly, and be knowledgeable of the storage capabilities of each rack. An accident at all, no matter how small, should be reported to management immediately for inspection and repairs if needed. Keeping the staff vigilant and properly aware of the types dangers can be the biggest accident deterrent on your floor. 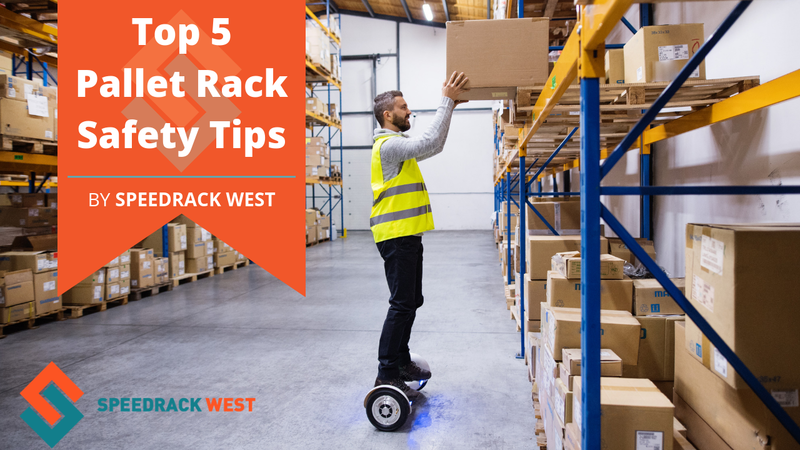 Proper installation and proper use of racking might be the most important Tip on this list! You can take all of the above steps to heart, but if the equipment was never properly installed in the first place, then most of the above go by the wayside. Same thing goes for if the type of racking you use is not being used correctly, the installation almost doesn’t matter! For example, pushback rack systems function much different than traditional systems. “Because pushback rack systems rely on the pallet loads themselves to impel each load and cart in the series through the lane as they are stored—and upon gravity for the loads and carts to descend during removal (as opposed to a mechanized device)—pallet placement must be relatively precise” (According to RMI Rack Safety). If these sort of directions are ignored, it won’t matter how carefully you did the work, the risk of disaster greatly increases. Follow all the proper steps. 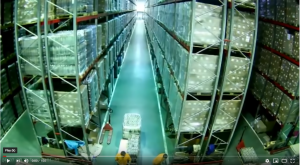 If installing warehouse racking yourself, it can be easy to overlook the proper anchoring your racking. Loading pallet rack that has not been anchored is very dangerous. Two anchors should be installed in each footplate to secure the racking to the concrete. Doing things correctly the first time will go a very long way in ensuring there are no accidents in the future. At the end of the day, talking to an expert is always the best tip you can follow. You can start a conversation with us here – no obligations, just to start your warehouse project on the right foot!